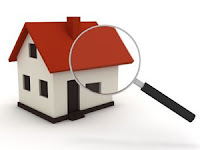 Roof inspections are important to have done periodically for numerous reasons. One reason is to prevent leaks before they become out of control. Another is to make sure your roof is in good standing order after a storm or severe weather, otherwise you might be due for a replacement thanks to your insurance company. There are a few different factors to consider while inspecting a roof, and a few different things to look at. One important time to have a roof inspection done on your home is after a severe storm has hit. Often times heavy rain, hail, and high powered winds will damage numerous shingles on your roof. Another thing that can happen without you noticing is over time continual rain can wear away the singles that are on your roof. During a full roof inspection you will have your shingles inspected, check for any areas that have the potential to leak, and check the overall condition of your roof. So how often should people really have their roof inspected? A moderate number would be around twice a year. This should be more than enough to take care of your roof. The only time you should break your regularly schedule inspection times is due to an emergency or potential damage that has been caused by a natural disaster. The main thing a roof inspection can lead to is repair. If there is only light damage and just a few shingles here and there that are no longer doing their job they can be replaced easily. If you have a severely damaged roof that will take extensive amounts of repair your best option might be to have your entire roof completely replaced. This will involve repairing any wood, wrapping the roof again, and putting on fresh shingles to give you that full protection from the elements while at home. If the damage has been done to your roof by a storm of any sort you can file a claim through your insurance company to have your roof repaired or replaced. Your roofing contractor can actually make your claim for you and help you through the process by negotiating with your insurance company. This saves you the trouble of having to call your insurance company and it will only cost you your deductible in the end. It is very common that people are unaware that their roof has damage on it so calling in for an inspection is a smart thing to do. Reroofing your house? It might be high time for you to seriously consider getting a roofing material that will provide optimum insulation for your house. The world is getting hotter and hotter. That is not just a tree-hugger propaganda. It is a fact. The world is now 0.5 degrees centigrade warmer than a century ago. It is not such a surprise that we are getting such intense summer these days. You may not have thought about it, but the intense summer heat may have been affecting you financially. You may have noticed that your summer power bills has been spiking up. That might be because you use air-conditioning more often during the hot days. Studies show that 60-70 percent of a household monthly power bill during summer months come from use of air-conditioners. Most households are built with materials that are not good insulators. When talking about providing good insulation for a house, one of the things that would need to be considered is the roofing material. The roof helps in insulating a house. If you have a roof made of poor insulating material, then chances are you will be spending more money on your power bill compared to homeowners with roof shingles that are efficient insulators. When it comes to providing optimum insulation to your house, slate roof shingles are, perhaps, the best choice. Stop heavy use of the air conditioner and heating system during summer and winter with slate roof shingles and lower the cost of your electricity. Durability is a top concern when a homeowner buys a roofing material. Would the roof shingle last long? Would it provide maximum protection for my home for many years? These are questions that slate roof shingles can definitely answer. Because of its very low water absorption index (0.4 %), slate is a top rate roofing material. Damage due to extreme frost and breakage caused by freezing temperatures are problems that ordinary roof shingles encounter. Because of its low water absorption index, slate roofing shingles would not suffer from the either frost damage or breakage due to cold weather. Most roofing shingles are also damaged by strong winds and sudden hailstorms. You do not have to worry about those with slate roof shingles. If there is a roofing material that is nearly invincible from the elements, then that would be singles made from slate. 20, 30, and 40 years are the normal lifespan of some roofing materials. Slate roofing shingles, though, have a lifespan that is pretty much longer. A roof made of slate shingles can last well over a hundred years. The well-being of every person in a household is the top concern of all responsible homeowners. As much as possible, all of us would like to have fire-proof building materials for our house. Most domestic fire accidents originate in the interior, but there are times when fires begin outside, especially on the roof. To ensure the safety of your family, it is best to get a fire-proof roofing material like slate roof shingles. With the unique texture that can only be comes with slate, any house with a slate roof would be an attention-grabbing wonder. With slate roofing shingles, your house will definitely be the envy of your neighbors and officemates. Learn more about the different types of roofing shingles available today. Flashing - Whether or not your home's rooftop has flashing will largely depend on the material that it's made out of, but flashing's purpose is to keep rain water from getting into the interior of the house. Roof flashing can lose its integrity with age, so you'll want to check that it keeps water out effectively. If it doesn't, then it's time to replace the old flashing. The Shingles - This applies to you if your home has asphalt shingles in particular. Look for signs of splitting or buckling in your shingles. When you see these things, it means the shingles are weakening and need to be replaced as soon as possible. The Material - If you have a roof made out of something like metal or wood, then you'll want to check for dents and other blemishes that can be brought by adverse weather like hail. You can also check for material-specific damage like chipping and rusting for wood and metal, respectively. Catching these signs as they occur early will make it so that you can have your roof resurfaced and repaired before anything catastrophic happens as the problems worsen over time. Water - "Ponding Water" is a problem for flat rooftops more than any other kind. Ponding water, when it is allowed to sit, can eventually leak through the roofing material and into the house. Once inside, it can lead to problems like water damage and the growth of mold over time. When it comes to getting rid standing water, roof maintenance usually involves removing it within 48 hours of a period of heavy rain so that it has less of a chance to seep through the material and get inside the house. Looking for and correcting things like these are good steps in the right direction of proper roof maintenance, as they can help make sure that you're getting as long a life as possible from your home's roof. When it comes to keeping your roof strong and able to protect your home, any roof maintenance issue that you deem to be too large to handle on your own should be taken care of by a professional roofing contractor who can quickly identify and remedy problems. By finding a contractor who has a reputation for dependable, high quality roof maintenance and guarantees to back up the kind of work that they produce, you can rest easy knowing that you and your family are protected by the roof over your heads for years to come. New Roof: Face Lift For A Home! Thousands of homeowners all over the globe want to own a house that captures the attention of passersby. An older house that undergoes a makeover can bring back its original beauty or even exceed the curb appeal of the original home. One of the most crucial aspects of any building is the rooftop. This is the part most likely to be seen by people, even at a distance. For anyone who strives for perfection, the chance of having a new and better looking roofing system installed on a building can be a lifetime achievement. This new structure can add exceptional beauty to the exterior that can deliver a feeling of pride in such an appearance. Because of the advances in technology within the construction industry, a structure can be built that not only has a catchy, unique design but also has a great ventilation system. There exists the capability to give any house quality and efficiency while adding attractiveness and elegance via the addition of a brand new roof. Because a roof is one of the more expensive parts of a building structure, it is essential to choose the best possible structure that meets any budget plan. Knowing budget allowances for a new structure, a roof design can be selected to achieve whatever look is desired for the house. Many people elect to match the design of the roof to the exterior of the home. Material selection is a similar process with many also selecting materials that match the exterior of the home to give it a great curb appeal as well. There are several things that can be done when designing this new structure that covers the top of a home. First, try to picture a three-dimensional image about the style of the roof at different angles then match it with various aspects of the home's interior and exterior. Choose a design that looks appealing and attractive at first glance. The true beauty of a home can be complimented by choosing a color that suits each home's own character. Roofing material comes in a variety of colors from which to select the product and the color that best suits each individual house. This might be a good time to ask for ideas from a contractor to be sure that the choice is the right color for the style and design of the roof as well as the house. For a house that stands out from the crowd, make something that fulfills that desire rather than something that is popular and stylish in design magazines. There are six different styles and shapes from which to make a selection. Each one of them has various functions based on the each local region. To make a design truly unique, mix two or more roofing styles and shapes. This certainly will make a home unique and is bound to grab the attention of friends and neighbors. When all the renovations are complete, this new look will deserve and receive many second glances! One of the most common considerations when installing a new roof is its durability. It is important to think about not only about how the new structure will look; it is also valuable to consider how durable and functional it will be. How many years can this structure and the materials used last? Does it have the ability to resist the various kinds of roofing problems brought on by the power of Mother Nature? When having a new roof installed on a house, it is always a prudent step to seek the advice of roofing professional. These contractors are trained and equipped to handle all aspects of roofing design and installation. Take years off the outer appearance of a home - give it a face lift with a new roofing system today! Asphalt roofing and shingles is the most popular and common roofing application that you will see on homes and other buildings today. There are many reasons as to why this is the most frequently used type of roof. It has a lot to do with cost effectiveness, looks, and many other factors. Here is some information, benefits, and facts on asphalt roofing. The first thing to look at is why this type of roofing is the most popular. The main reason is because they present a very durable option for the roof of a home. Even though they aren't the most durable on the market, they still can last over ten years without having any problems. Another reason why is because this type of roof can complement the style of any home. What asphalt shingles are is fiberglass mixed with asphalt. Because of this combo they have great resistance to heat and other factors that could potentially damage the roof of your home. They come in small sections and they are installed on roofs in rows. All that is required during the installation is to nail down each row. The next row will overlap the previous to create a protective barrier on top of your roof. This will prevent leaks and form the shingles into one large unit, which improves the durability. This type of shingle comes in different architectural styles and can come in different shades of color. That helps to make asphalt roofing a good choice for any home that you see, whether it be moderate in size or very large. Choosing the right style and shade can be assisted by your roofing installer if you just can't figure out what will look the best on your home. After the installation process you will receive a warranty on your shingles that lasts decades. What this warranty covers is defects and not damage from weather. If your roof is damaged by a storm, tornado or consistent heat, it is possible to have your roof fixed or replaced under your insurance. A roofing installer will be able to tell you what caused damage to your existing shingles and can even work with your insurance company on getting you a new roof installed. Between a relatively low cost and the chance of having your insurance pay for a new roof, asphalt roofs are by far the most economic and best choice for any home owner no matter what the circumstances are. There are a wide range of roofing materials available when you come to choose for your home, but they have different qualities and there are different cost considerations involved. Choosing the right roofing material will involve considering not only cost but the need for professional help as some materials should not be fitted by home improvement enthusiasts, also there are the local aesthetics to take into account. Roofing materials offer a wide range of choice when it comes to color, look and feel and you can opt for a traditional, natural look or modernistic lines and everything in between. There are numerous other roofing materials available however we are going to look at three of the major roofing materials in use today; asphalt shingles (also known as composition shingles), wood and slate. Asphalt shingles are an extremely popular roofing material which combines affordability with good, clean looks. Aside from asphalt, composition shingles may also include fiberglass or other materials, and may typically utilize recycled materials for a more environmentally friendly product. 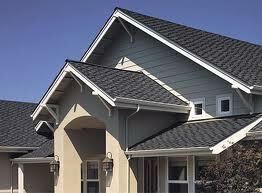 Asphalt shingles are available in a wide range of colors and styles and they are easy to work with. Asphalt shingles can be worked by home improvement devotees though experience with roofing is preferred. Asphalt shingles are generally low maintenance products and many provide good fire protection though they can be affected by the elements, typically being subject to high winds and being blown off the roof. Wood shakes come in an extremely wide variety of colors, shapes and finishes and as a consequence, it is impossible for any two wood shake roofs to be the same. Wood is an extremely good insulation material as well as allowing your home (and particularly the roof space) to breathe with circulating air which helps prevent the build-up of moisture and the attendant problems this brings. Wood does require a higher degree of maintenance than most other building materials and without proper attention the roof will deteriorate and need replacing. Wood is also susceptible to rot, mold and the work of insects which adds to the cost of maintenance and repair. Wood is also not a fire proof material which means there is an elevated fire risk when using wood, however it is possible to source pressure treated wooden shakes which are injected with fire retardants and also last longer. Installation is more involved than for asphalt shingles and the finished build quality is directly related to the ability of the contractor used for the job as well as the quality of the wood shakes used. Slate is highly durable and despite an initial high cost, it provides the lowest overall annualized cost as it has virtually zero maintenance. Slate cannot burn, it is waterproof and requires no cleaning or painting, it is also impervious to the effects of water, excesses of heat and cold and insects cannot use it for food or as a habitat. Not only this, but slate requires very little cleaning and no chemical treating for algae, moss and mold as it provides no habitat or nourishment for them. Slate is also highly aesthetically pleasing on the eye and comes in a variety of shades and colors from light brown through to olive green with a variety textures and feel. Slate is heavy and usually requires additional roofing support and it should only be installed by an experienced professional. Above All Roofing in Vacaville specializes in seamless gutters! Call us today to find out more! We have extensive knowledge, with 37 years of experience in many types of roofing systems, including Asphalt Shingles, Wood Shakes, Built-up Roofing, Tile and Slate, just to name a few. Our goal is to provide you with quality workmanship, timely service and fair pricing. Our estimates are always free. We are licensed, bonded and insured and a member of the Better Business Bureau. We have extensive knowledge, with 37 years of experience in many types of roofing systems, including Asphalt Shingles, Wood Shakes, Built-up Roofing, Tile and Slate, just to name a few. Our goal is to provide you with quality workmanship, timely service and fair pricing. Our estimates are always free. We are licensed, bonded and insured and a member of the Better Business Bureau.